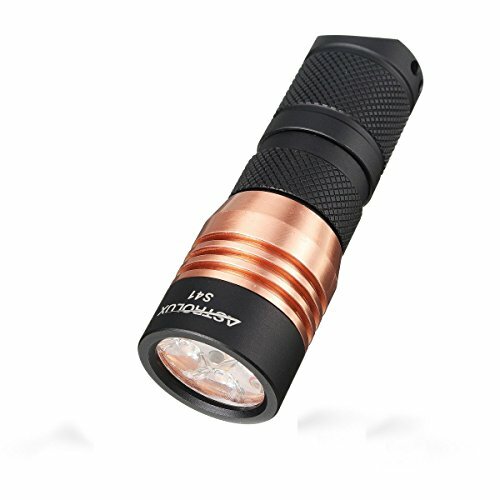 When you are looking for the best 18650 flashlight, you need to keep in mind there are some very specific qualities that these flashlights should have. Like all other flashlights, the last thing you want to do is buy a flashlight that doesn’t work, which happens all too often when you shop by price alone. Rather than buying the cheapest flashlight around you are going to want to look for a flashlight that is going to work when you need it to, not just when it wants too. Something else that you need to look at when choosing the best 18650 light is if it’s durable or not. No matter how careful you are, chances are you are going to drop your flashlight a time or two. So, in order for a flashlight to be considered one of the best in its class it cannot shatter or break apart just because you drop it. Durable flashlights are made from strong materials, such as titanium or aircraft grade aluminum, and they have seals that entirely close off the inside of the flashlight to protect it. Before you get started DOWNLOAD the FREE Tactical Flashlight Buyers Guide Checklist PDF. It will help you learn about and decide what flashlight you want! Thank You, Subscribe to receive the Tactical Flashlight Buyers Guide Checklist PDF! Also receive new articles and promotions directly to your inbox. While durability and reliability are important to look for when choosing the best 18650 light, so are a few other things. The current 18650 flashlights are some of the most powerful flashlights ever made, with that said you are going to give up a little on portability due to the size of the battery. These are not keychain flashlights. When looking through the 18650 flashlight reviews you will want to pay attention to how much power and features the flashlights have, as well as what kind of light they are using. With the best single 18650 flashlight you are not going to have as much power as you will with the a multiple 18650 light because more batteries means more power. However, each style still has its uses. When looking at 18650 lights look for one that uses the current generation of LEDs rather than an older LED. 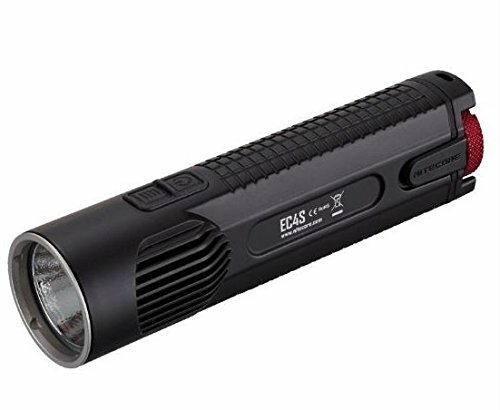 With all of the different types of batteries out there for flashlights, you might be wondering why you should choose the 18650 over something else like the CR123A. One of the best reasons we can think of is that the 18650 battery is a Li-Ion rechargeable battery rather than a single use, primary battery and with the right connection, you can easily charge them while you are on the go. Not only that, but a single 18650 battery is as powerful as 3 to 4 AA battery because of the higher voltage. The 3.7 volts put out by the 18650 provides you with about three times the amount of watt-hours for the same capacity. If you opt for a high capacity 18650, it can be almost 4 times as powerful as standard AA batteries. Another reason to opt for the 18650 is that it is the same length as 2 x CR123A batteries, which makes them easy to interchange. 18650 batteries have a great size to capacity ratio, and they have a high discharge and high capacity rate making them superior to similar sized batteries. Something else to consider is the best 18650 battery for flashlights. As with other types of batteries , you are going to run across numerous manufacturers, but they do not all have the same quality. When it comes to the best 18650 battery for flashlights you are going to want to stick with batteries that are built around the Panasonic NCR18650B 3400 mAh industrial core. Some people like buying unprotected Panasonic NCR18650B batteries trying to save a little money but we prefer the protected batteries. The best 18650 battery for flashlights that we have ever used is the Orbtronic 3400 mAh protected top button batteries, which are made specifically for flashlights. Knowing the best battery to use is one thing, but what about when those batteries need to be charged. These Li-Ion batteries aren’t cheap, so the last thing you want to do is destroy them by using a horrible charger. In all of the chargers that we have looked at, we feel that the best is the Xtar VP2 Li-ion battery chargers. Not only is it one of the most advanced chargers, it is also available for a great price and comes with a USB connection that allows you t use the charger as a battery pack. Pick it up now! Don't go any further with out your checklist to keep track. DOWNLOAD the FREE Tactical Flashlight Buyers Guide Checklist PDF. It will help you learn about and decide what flashlight you want! The Wowtac A1S is the ideal choice for those who are looking for a pocket-sized tactical light that won’t break the bank. The Atactical A1S is available in neutral and cool white. The light utilizes a CREE XP-L V6 LED to provide users with a peak beam intensity of 19,200 candelas with a maximum beam distance of 908.7 feet. The tactical tail cap switch provides users with the ability to power the light on and off. The side switch allows users to cycle through four brightness levels, Strobe, and SOS mode. The pocket-size Wowtac A1S features an intelligent memory function, low voltage indicator, and anti-slip knurling. Made from premium AL T6061-T6 the Wowtac A1S has an IPX-7 rating and is impact resistant up to 4.92 feet. The compact Zebralight SC64W comes in at just under 4 inches long with a diameter less than an inch. This compact size and pre-installed pocket clip make the Zebralight SC64W the ideal EDC light. The Zebralight SC64W uses a neutral white CREE XHP35 LED to emit a maximum of 1400 lumens. Users can choose between three main brightness levels, in addition to Beacon and Strobe Mode. Each main brightness level can be programmed to two sub-levels and the second sub-level can be further programmed to different brightness levels. To maximize runtime and brightness, the Zebralight SC64W uses PID thermal regulated outputs on its two highest output levels. A built-in battery capacity indicator alerts users to when battery levels are running low. To preserve battery life the light automatically steps down to the next level based on battery life. A smart user interface utilizes an electronic soft-touch switch to access all brightness levels and special modes. The Convoy C8 offers an excellent throw due to having a wider head than a body. The Convoy C8 is a mid-sized handheld flashlight that uses a CREE XM-L2 LED to emit a maximum of 1000 lumens. With the Convoy C8 users have the option of two modes. The first mode offers users the choice of three brightness levels: low: medium: high. The second mode offers five brightness levels: lo: medium: high: rapid: SOS. The light utilizes a clicky tail cap switch for easy one-handed operation. The Convoy C8 requires a single 18650 battery, but the battery must be purchased separately. The battery tube offers springs at both ends. This gives the light the ability to accept button and flat top batteries, as well as protected and unprotected 18650 batteries. Reverse polarity protection prevents damage from occurring due to improperly installed batteries. Mode memory function memorizes the last brightness level used if the light is left on for more than 3 seconds. Low voltage protection alerts users to when the battery life is running low. If you are looking for the best single 18650 flashlights with the best throw, the Olight M2X-UT is a perfect choice. The Olight M2X-UT features a customized CREE XM-L2 LED paired with a large smooth reflector to create a tightly-focused beam. 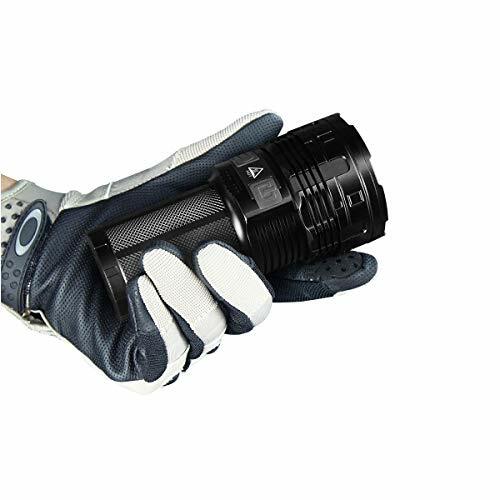 The domed LED, large smooth reflector, and the Olight M2X-UT’s large head give the light it’s amazing throw with a beam distance of over 2,600 feet. 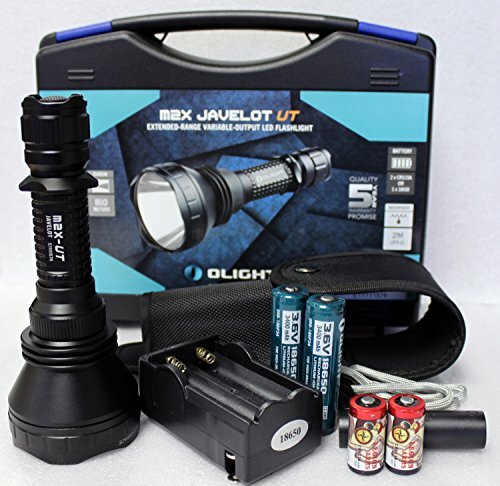 Using a single 18650 battery the Olight M2X-UT emits a maximum of 1020 lumens for up to 1 hour. The light offers three different brightness levels, plus strobe mode. A forward tactical tail cap switch powers the light on and off and provides instant access to the momentary on feature. Brightness levels and strobe mode are accessed by rotating the head of the light or by tapping the tail cap. A built-in memory feature recalls the last brightness level used. The aircraft grade aluminum body is impact resistant up to 3.3 feet and offers an IPX-8 rating. The Astrolux S41 offers an amazing flood light for its size. Coming in around 3 inches the Astrolux S41 uses four Nichia 219B/XP-G2 LED emitters to produce a maximum of 1600 lumens. With the Astrolux S41 users have the choice between two mode sets. Each of the modes contained in the sets is very well spaced. The light comes equipped with mode memory, but users have the option to turn it off. Cycling through the modes is done via the soft touch push-button tail switch. Quick presses allow you to go up in brightness levels, longer presses allow you to cycle backward through the modes. The Astrolux S41 can be powered by either a 18350 or a 18650 battery, which neither are included with the purchase of the light. The 18350 battery offers shorter runtimes with higher output ability. The 18650 battery increases the runtime but decreases the amount of light the Astrolux S41 emits. If you use a 18650 battery an extended body tube will need to be purchased separately. With an IPX-8 rating, the Astrolux S41 is also shockproof making it a great choice for use in the outdoors. The Zebralight H600Fw Mk IV provides users with a 120-degree flood using a CREE XHP35 Cool White LED. The Zebralight H600Fw Mk IV emits a maximum of 1358 lumens on its highest setting using a single 18650 battery. Users can choose between three main brightness levels, in addition to Beacon and Strobe Mode. Each main brightness level can be programmed to two sub-levels and the second sub-level can be further programmed to different brightness levels. To maximize runtime and brightness levels, the Zebralight H600Fw Mk IV uses PID uses PID thermal regulated outputs on its two highest output levels. A built-in battery capacity indicator alerts users to when battery levels are running low. To preserve battery life the light automatically steps down to the next level based on battery life. A smart user interface utilizes an electronic soft-touch switch to access all brightness levels and special modes. 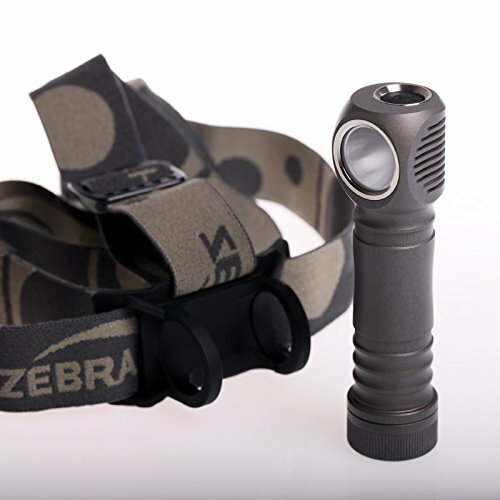 The Zebralight H600Fw Mk IV is one of the few lights in the industry that can serve as both a headlamp and a handheld light. Using a CREE XPL V5 LED the Manker U11 can be powered by a single 18650 battery or two CR123A batteries. 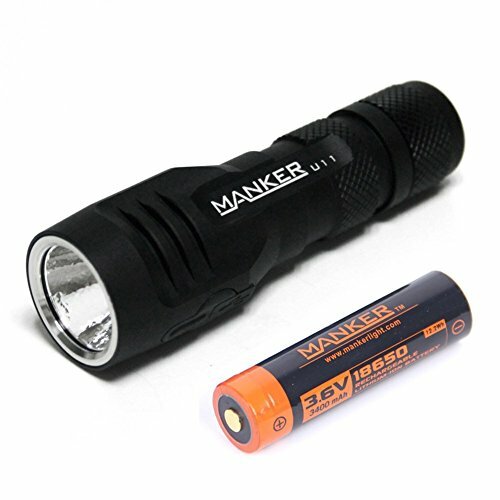 With the single 18650 battery, the Manker U11 has the ability to emit a maximum of 1050 lumens with a peak beam intensity of 16,000 candelas with a maximum beam distance of 827 feet. The intelligence lithium battery charge design allows charging via a micro USB port. Low battery warning alerts users when the battery is less than 20%. The Manker U11 is controlled via a side switch. The Manker U11 offers two UIs: simple and advanced. The simple UI provides five levels of brightness, including a true moonlight mode and turbo mode. The simple UI mode offers three special modes: Strobe, Breath Flash, and SOS. From the off position, users have direct access to moonlight mode. The Advanced UI gives you access to four brightness levels, no moonlight mode. Each of the four brightness levels can be set to one of three sub-levels to provide you with a real selection of brightness levels. 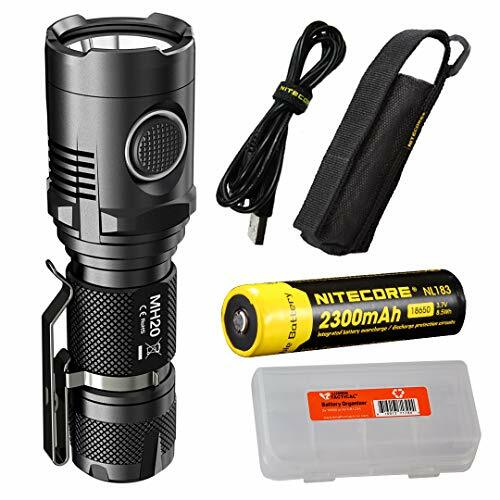 The Nitecore MH20 uses a high-performance CREE XM-L2 U2 LED to emit a maximum of 1,000 lumens with the choice of five brightness levels to choose from. The Nitecore MH20 utilizes a two-stage switch to allow for easy one-handed operation. The switch provides users with direct access to turbo and ultralow modes, in addition to three concealed modes. Cooling fins paired with advanced temperature regulation keep the Nitecore MH20 cool to prevent overheating. Coming in at just a little over 4 inches long and weighing only 3 ounces without the battery, the Nitecore MH20 is also the lightest rechargeable light made by Nitecore. The 18650 battery does not have to be removed for charging. The Nitecore MH20 features an intelligent charging module that rapidly charges the battery with a micro USB cord through the USB port. The Quality USB port cover protects from dust and moisture allowing the light to be used outdoors. A blue power indicator alerts users to remaining battery power and serves as a location indicator in standby mode. 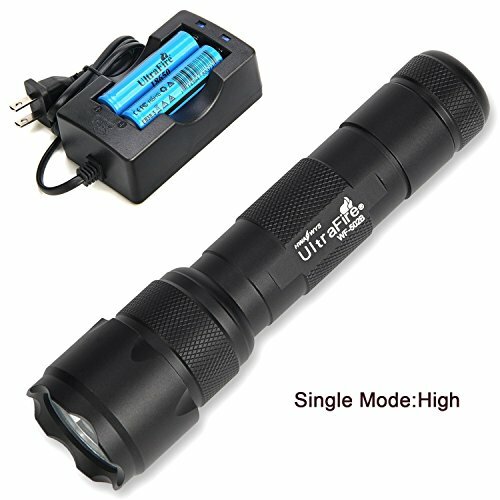 If you are looking for a decent light at a low price the Ultrafire 502B is an excellent choice. The light is bright and durable enough to be relied upon by military and law enforcement personnel. The Ultrafire 502B can be powered by a single rechargeable Lithium-Ion 18650 battery or two CR-123 batteries. Runtime will be affected based on battery choice. To maximize runtime use a single 18650 battery. Using a CREE XPE G3 LED the Ultrafire 502B can emit a maximum of 850 lumens. This specific model of the Ultrafire 502B offers users a bright white light with a beam distance of 761 feet. The small pocket-sized light offers a black anodized aluminum body with a built-in belt clip. The tail cap switch allows users to switch between five different modes. If you are on a super budget this will get the job done we would up our budget a little. The Olight S2R is a lightweight and compact flashlight that many people find ideal for being an EDC. The Olight S2R is simply a rechargeable version of the original Olight S2. Charging of the Olight S2R is completed using Olight’s charging method through the magnetic tail cap and the magnetic USB charging cable. The magnetic USB charging cable can be utilized with various USB power supplies to recharge the Olight S2R. The tail cap comes with a strong magnet allowing it to be secured to metal surfaces to provide a hands-free work light. The Olight S2R is powered by a single customized 3200MAh 18650 battery. The single battery allows the CREE XM-L2 LED to emit a maximum of 1020 lumens with a maximum beam distance of 502 feet. The Olight S2R offers five brightness levels, plus strobe all controlled via the side switch. With an IPX-8 rating and a no-roll design with distinct angles, the Olight S2R is the ideal general purpose light. 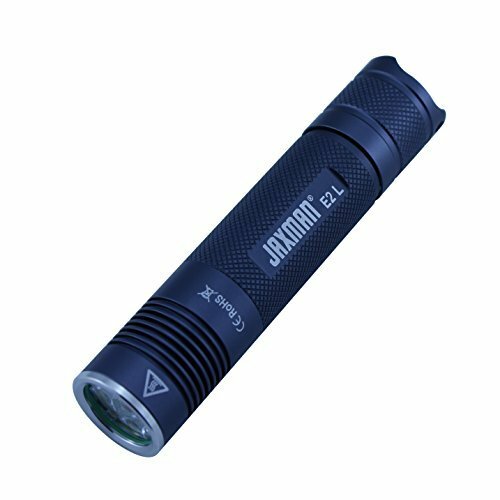 Using 3 XP-G2 S4 5A LEDs the Jaxman E2L has the ability to emit up to 900 lumens. The Jaxman E2L offers users the choice of three brightness levels, plus SOS and Strobe. With a maximum of 900 lumens, the Jaxman E2L is not the brightest handheld light in the industry, but it makes up for its lack of lumens with its high CRI numbers and its affordable price. Tests have shown the Jaxman E2L offers 4500 Kelvin of pure white light. The aluminum body is impact resistant up to 6.5 feet and offers an IPX-6 rating. The water and scratch resistant glass lens sit on top of an orange peel reflector. The light does not feature a button lock, as it is controlled via a tail cap clicky located at the base of the light. The Jaxman E2L has no mode memory. Each time the light is powered on it will start in the lowest mode. The Eagletac D25LC2 Nichia version uses a Nichia 219B SW45 D220 LED to deliver 92 CRI in a neutral white tint of 5000 Kelvin. The Nichia 219B LED also delivers a smooth beam designed to provide you with the best object color during illumination. In order to get the highest output from the LED Eagletac uses the highest flux D220. To provide the best beam and illumination possible the Nichia 219B is paired with a light orange peel reflector and an impact resistant lens with an anti-reflective coating on both sides. 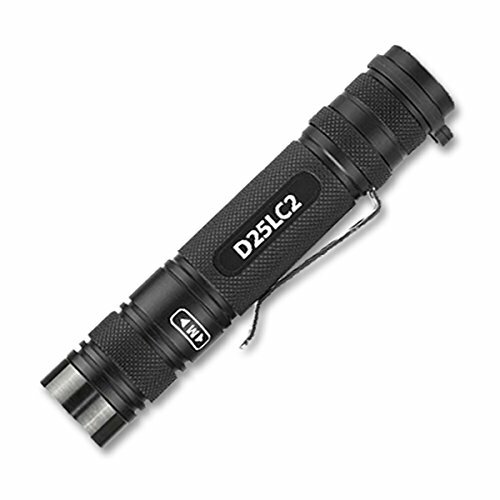 The Eagletac D25LC2 Nichia is a compact and powerful light with a simple to use interface. The light is controlled via a clicky switch button. The Eagletac D25LC2 can emit a maximum of 420 lumens. The Eagletac D25LC2 offers the choice of three brightness levels, two output modes, and seven hidden modes. Output groups are accessed by tightening or loosening the head. The Eagletac D25C can be carried in a variety of ways, including with a paracord lanyard, rigid holster, or a stainless steel pocket clip. The Wowtac A2 headlamp uses a cool white CREE XP-G2 LED to provide a maximum of 550 lumens with a peak beam intensity of 6030 candelas. The high performance LED is paired with a smooth reflector to produce a focused light pattern. The Wowtac A2 headlamp optimizes your field of vision with its useful spill and flood. The headlamp offers 5 brightness levels, as well as a hidden SOS mode. Memory function allows the Wowtac A2 to turn back on in the last mode used with the exception of Firefly, Turbo, and SOS. 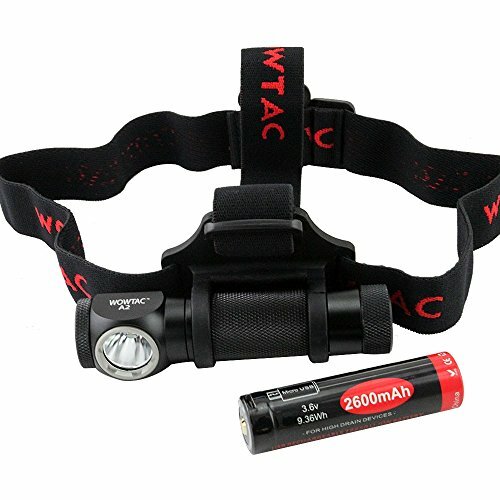 The Wowtac A2 features a push button on and off switch located on the right side of the headlamp. The location of the push button switch is ideal for one-handed operation. The Wowtac A2 is made from aircraft grade aluminum and comes with an IPX-7 rating allowing it to be used in all weather conditions. The elastic headband is comfortable to wear as the light and headband weigh a mere 3.8 ounces without the battery. The headlamp is able to detach from the elastic headband and used as a handheld flashlight. The Olight H2R uses a CREE XHP50 LED powered by a single 18650 battery. The Olight H2R has the ability to emit a maximum of 2300 lumens allowing it to be the brightest single 18650 light in the industry. With a peak beam intensity of 5850 candelas and a maximum beam distance of 501 feet the TIR bead lens provides a wide beam ideal for up-close illumination. The Olight H2R offers five brightness levels, plus a SOS/Beacon mode. To protect your eyes from sudden brightness changes the Olight H2R offers gradual brightness changes when the light is switched between medium, high and turbo modes. 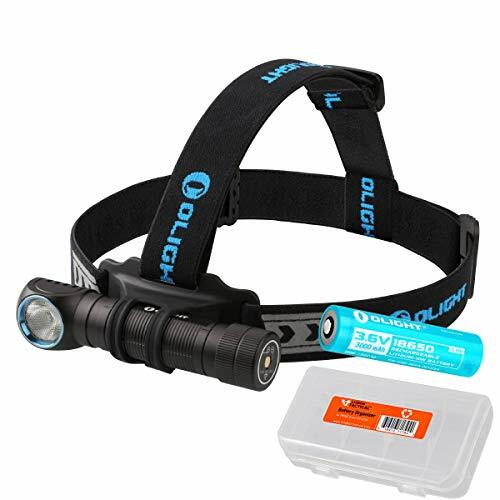 The Olight H2R can be used as a headlamp, pack strap, or pocket light thanks to its detachable head strap mount and pocket clip. The operating switch is located on a slightly angled surface for a more natural operation. Charging is completed using Olight’s charging method through the magnetic tail cap and the magnetic USB charging cable. The magnetic USB charging cable can be utilized with various USB power supplies to recharge the Olight H2R. The Okluma DC2 is the improved version of the Okluma DC1. With the Okluma DC2 users will notice longer runtimes and improved output as the DC2 has 4 times the capacity as the DC1. Having the longer runtimes is ideal for those users who are not near a charger. Each light comes with a fully charged Sanyo NCR18650GA battery. Chargers for these batteries must be purchased separately. The Okluma DC2 is available in 7075 Aluminum, C360 Brass, or C145 Copper. The light utilizes 3 Nichia 219C 5000k 80+ CRI LEDs to emit a maximum of 1200 lumens. The Okluma DC2 offers four brightness levels with on-time memory. A reverse clicky switch controls the light and provides access to the different modes. An Okluma FET +1 driver offers reverse polarity protection, low voltage warning and protection, and temperature control to prevent the light from overheating. The Okluma DC2 comes with a lifetime warranty; if it ever breaks they will fix it for free. 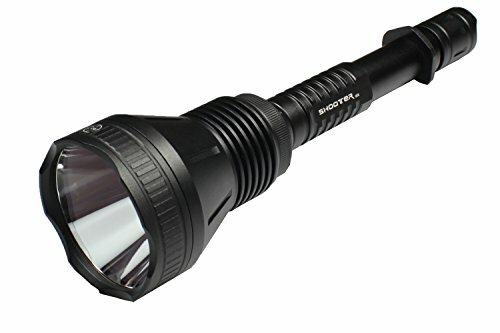 The Maxtoch Shooter 2X uses a CREE XM-L2 U4 Led to emit a maximum of 1450 lumens. Powered by two 18650 Li-Ion rechargeable batteries the Maxtoch Shooter 2X has a maximum beam distance of 3,937 feet. The Maxtoch shooter can also be powered by four CR123A batteries, but runtimes and output might be altered. Even on the highest setting users won’t have to worry about fluctuating output as the Maxtoch Shooter 2X uses a constant current to ensure a stable output. A tap-on tactical tail switch provides easy one-handed operation to all three brightness levels offered by the Maxtoch Shooter 2X. A memory function allows for the light to be turned on in the last setting used. Made from a solid aluminum stick the Maxtoch Shooter 2X has a mil-spec Type III hard-anodized finish allowing it to be impact resistant up to 4.92 feet. The anti-slide and wicking design add to the lights impact resistance. The IPX-8 rating ensures the light can be used in all types of weather. The Armytek Barracuda utilizes a CREE V2 XP-L High Intensity LED to produce an extremely bright light with an amazing throw. Powered by two 18650 batteries, the Armytek Barracuda can emit a maximum of 1350 lumens with a maximum beam distance of 2,542 feet. The smooth reflector allows of a smooth beam with a peak beam intensity of 150000 candelas with a 40-degree spill. Controlled by a tactical forward tail cap switch the Armytek Barracuda offers 6 output levels including a strobe mode. Auto-memorization of the last mode used allows users’ quick access to their preferred setting. Made from aircraft grade aluminum with a premium type III hard anodizing finish the Armytek has the highest waterproof and dustproof rating at IP68. The Armytek Barracuda can operate in temperatures as low as negative 25 degrees and as hot as 104 degrees Fahrenheit without any change in performance. The stainless steel bezel with an ultra-hard titanium coating ensures the light is impact resistant up to 98 feet. The Thrunite MINI TN30 is ergonomically designed so it’s easier to use one-handed. The flashlight itself is rather compact, about the size of a soda can. It comes in at 4.95 inches in length and has a 2.52-inch diameter. Although it is small, it is a bit on the heavier size for a mini version, as it weighs 13.56 oz without the batteries. Made from an aircraft grade aluminum the Thrunite Mini TN30 offers knurling for a firmer grip. This compact light offers a peak beam intensity of 26000 candelas with a maximum beam distance of 1,049 feet. The 3 XP-L V6 LED emitters make it one of the brightest LED flashlights on the market. The Mini TN30 is powered by four 18650 batteries and has the ability to work in six different modes. The TN30 has a maximum output of 3600 lumens for 2 hours, while its minimum output is 0.5 lumens for 98 days. The floodlight features an electronic metal switch equipped with low voltage indication. The low voltage indication allows for silent operation. The Thrunite Intelligent Temperature Control prevents any damage to the light from overheating. The Olight X7R is the new and improved version of the original Olight X7. The two biggest improvements to the Olight X7R is the higher output and the light is now rechargeable. Using three CREE XHP70 CW LEDs the Olight X7R is able to emit a maximum of 12,000 lumens, which is a 33.33% increase in brightness over the original design. The smooth reflector allows for a peak beam intensity of 36,100 candelas with a maximum beam distance of 1,247 feet. Recharging the built-in 18650 battery pack is done with a USB Type-C charging port and cable for 3 times faster charging than an ordinary micro-USB cable. The charging port is protected via a twist open and close design to maintain the light’s waterproof ability. The compact light offers a user-friendly interface and an ergonomic design. The side switch is used to cycle through the various modes and powers the light. Located under the side switch is a multi-function indicator light. This light works as a location indicator, status indicator, and low battery indicator. The body of the light features milled finger grooves for a more comfortable grip. Enhanced safety features automatically drop the light’s output when the head approaches an object. Active thermal management system automatically reduces output when the light becomes too hot to prevent damage from overheating. To emit up to 2,400 lumens of light the Klarus RS30 utilizes two CREE XM-L2 U2 LEDs. The newly designed reflector allows users to have both a focused beam and a floodlight to improve illumination. Peak beam intensity of the Klarus RS30 is 16900 candelas with a maximum beam distance of 853 feet. The dual side switches provide access to all 5 brightness levels and two flash modes offered by the Klarus RS30. Users have instant access to turbo or moonlight mode with a single press of a button. The aircraft aluminum body is impact resistant up to 3.28 feet and offers an IPX-8 rating. The light can use either two 18650 batteries or 4 CR123 batteries. The dual LEDs are on dedicated circuits allowing the light to function on a single 18650 or two CR123 batteries. The Klarus offers battery capacity indicators on both sides of the light that work independently of each other. Each indicator displays the remaining charge of the batteries located on the corresponding side of the light. The patented USB 5V magnetic recharging system is designed to fully recharge one or two 18650 batteries in as little as 2.5 hours. Using CREE XHP70 LEDs the Imalent DT70 is a compact and powerful searchlight with integrated charging. 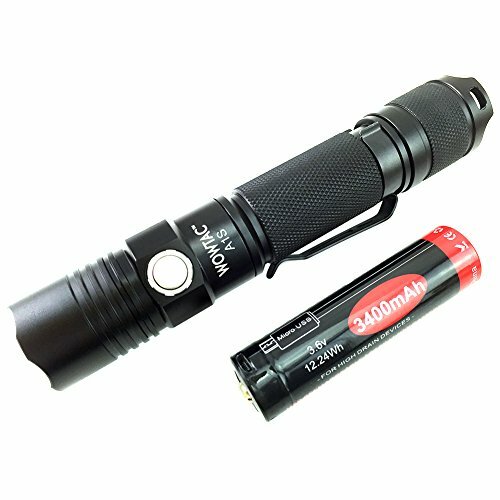 Powered by four 3000mAh 18650 rechargeable batteries the Imalent DT70 is able to emit a maximum of 16,000 lumens with a peak beam intensity of 123000 candelas and a maximum beam distance of 2,296 feet. The aluminum OP reflector aids in distributing an even beam. The extremely powerful Imalent DT70 offers four output levels and three special modes so your light will respond exactly how you need it to in any situation. The easy to operate tactical pressure switch puts you in full control of the Imalent DT70. The highly efficient constant power circuit ensures the light maintains constant brightness. A light that can emit a maximum of 16,000 lumens runs the risk of becoming too hot. To prevent any damage from overheating the Imalent DT70 uses a built-in thermal control to automatically adjust the DT70’s output based on the outside temperature and the working state of the light. The OLED display shows a variety of parameters, including output, charging, battery voltage, etc. The OLED display also features a flashing overheat warning. The aerospace-grade aluminum alloy body is coated with a water-resistant Type III hard-anodized finish giving the light impact protection and an IPX-8 rating. Using Unique Integrated Technology the Nitecore EC4 is extremely lightweight and compact. The die-cast body is a single piece made from aero grade aluminum alloy there is no separate battery compartment. Molten aluminum is injected into the mold cavity using high pressure to create a body that is 200% stronger than an ordinary light. To make the Nitecore EC4 as compact as possible the two 18650 batteries sit side by side with no gap. A rear thumbscrew lock gives the light the ability to connect to a tripod. 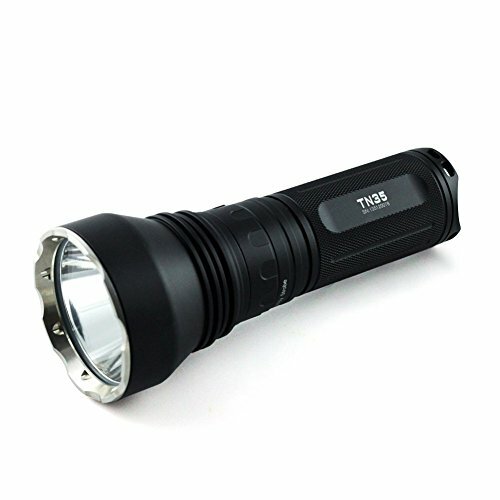 If you are looking for a light that can be used for a variety of tasks the Thrunite TN35 is an excellent choice. The Thrunite TN35 combines the best characteristics found in the TN30 and the TN31 to provide users with the ideal balance between a flood and a throw light. 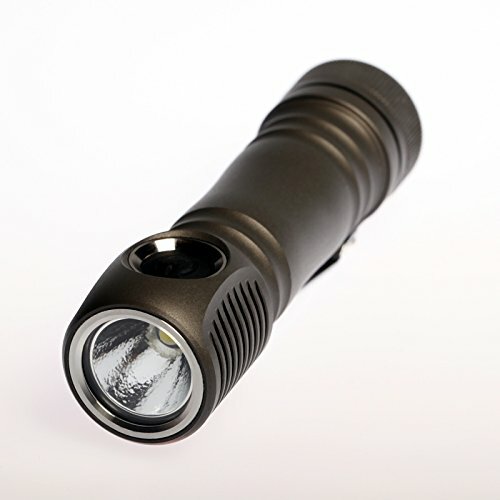 The Thrunite TN35 utilizes an Xlamp MT-G2 emitter. Powered by three 18650 batteries the Thrunite TN35 can emit a maximum of 2750 lumens with a peak beam intensity of 66940 candelas. The highly focused beam uses a smooth reflector to achieve a maximum beam distance of 1699 feet. The Thrunite TN35 delivers more lumens to users thanks to its improved user interface. The Thrunite TN35 features a momentary forward click tactical switch and tactical knurling with a streamlined body design for an improved grip. Switching between the six brightness levels, stand-by, and strobe is done via the magnetic control ring. To ensure user safety and to prevent the light from becoming damaged due to overheating Thrunite uses an intelligent temperature control. The Eagletac SX30C2 uses a Nichia 219C Neutral White LED to emit up to 855 lumens. The Nichia 219C LED offers 4000 Kelvin with a CRI count of 92. 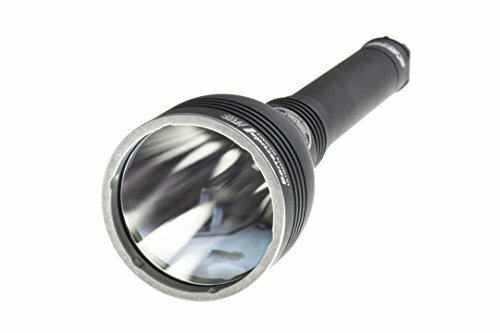 Paired with a deep reflector with a smooth coating for maximum beam distance the Eagletac SX30C2 can reach up to 1,272 feet. The Eagletac SX30C2 offers five brightness levels, as well as two hidden auxiliary levels. The dual switch design provides users with complete control over the Eagletac SX30C2. The flashlight can be turned on at MIN or MAX with a press of the black or white button depending on level desired. The dual switches also provide access to instant strobe, momentary-on, and a battery level report. The crenulated stainless steel bezel is made from a HAIII hard anodization aerospace aluminum. The bezel can hold a single 18650 battery; to double the runtime of the Eagletac SX30C2 you can add a second 18650 battery with the extension body tube. 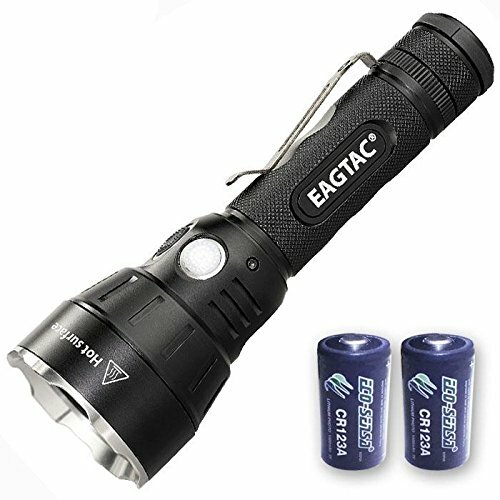 The Eagletac SX30C2 can also use CR123 batteries, but runtimes will vary. The SX30C2 comes with a removable pocket clip made from spring steel, a heavy-duty nylon holster, and a Mil-Spec paracord lanyard with a quick attachment clip. The Noctigon Meteor M43 is like no other light in the industry. The compact powerhouse is one of a kind; there is no comparing it to other production or modded lights. The Noctigon Meteor M43 offers several XP-G2 emitters to choose from, as well as a Nichia emitter. What emitter you select will depend on how you plan to use the light. The light body comes in black or white and is CNC Machined from aircraft-grade aluminum. 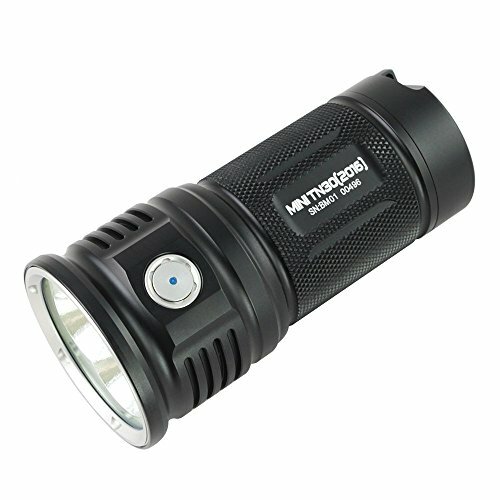 The Noctigon Meteor M43 uses 12 LEDs to emit up to 7480 OTF lumens with the XP-G2 emitters. With a Nichia emitter, users will see a maximum output of 6600 with an 80 plus CRI. The Noctigon Meteor is powered by four 18650 batteries in a parallel configuration. The Noctigon Meteor M43 offers three user programmable output levels and numerous customization options. A multi-color RGB battery charge level indicator works whether the light is off or on. With an IP67 rating the Noctigon Meteor M43 is both waterproof and dustproof. Now you are ready to decide, DOWNLOAD the FREE Tactical Flashlight Buyers Guide Checklist PDF. It will help you sort through all the info to find the flashlight you want! As you can see there are several top 18650 flashlights on the market, and there are many other models to choose from depending on your needs. With so many different flashlights to choose from, how do you know for sure that you are picking the right one. With the 18650, the biggest deciding factors is going to be how reliable it is and what features you need. After all, there is really no sense in purchasing a flashlight if it isn’t going to work. 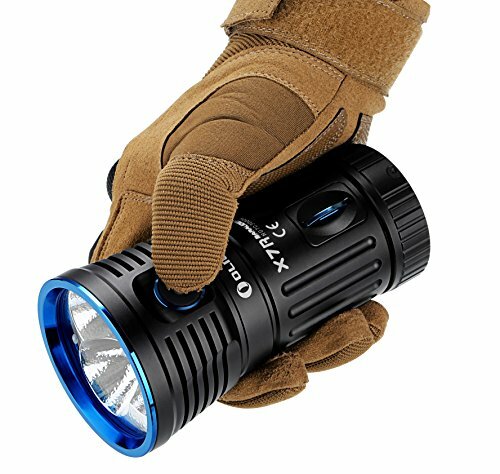 And, like with many other flashlights the more durable it is the better because no matter how careful you are, there is going to come a time where you drop your flashlight. Regardless of what 18650 flashlight you end up purchasing, we just want to thank you for taking the time to read out “Best 18650 Flashlight” article, while you are here take a look at all of our best flashlight articles. If you are new to the flashlight world and have any questions in regards to the vocabulary used in this article, please feel free to refer to our tactical flashlight buyer’s guide for some great definitions. To help you compare flashlights, so you can choose the best 18650 light, please use our handy Flashlight Comparison Guide. This guide allows you to easily sort through a list of flashlights using specific specifications, such as battery type, battery life, lumens, etc. 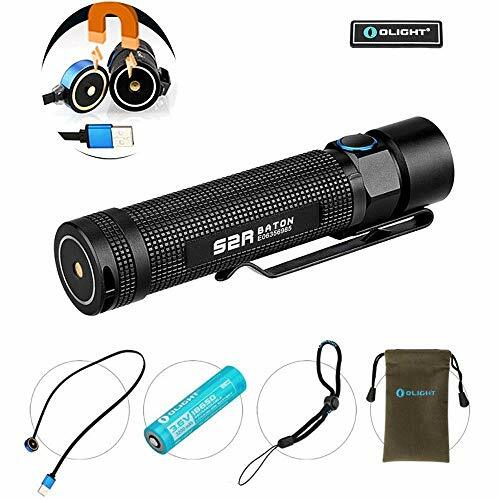 If you like one of the flashlights you read about here, please follow one of our links to Amazon to purchase one of the best 18650 flashlights. Subscribe: Free Flashlight Buyers Guide Checklist!